Chinese artist Liu Wentao makes his solo exhibition debut in Hong Kong at Pearl Lam Galleries. The exhibition, which has been extended due to its popularity, features Liu’s work of pencil on canvas; composed of straight lines drawn meticulously by pencil and ruler with varying degrees of pressure for dark or soft marks. His work creates uncertainty of depth, distance, and space, enhancing perspective when the work is viewed from different angles. 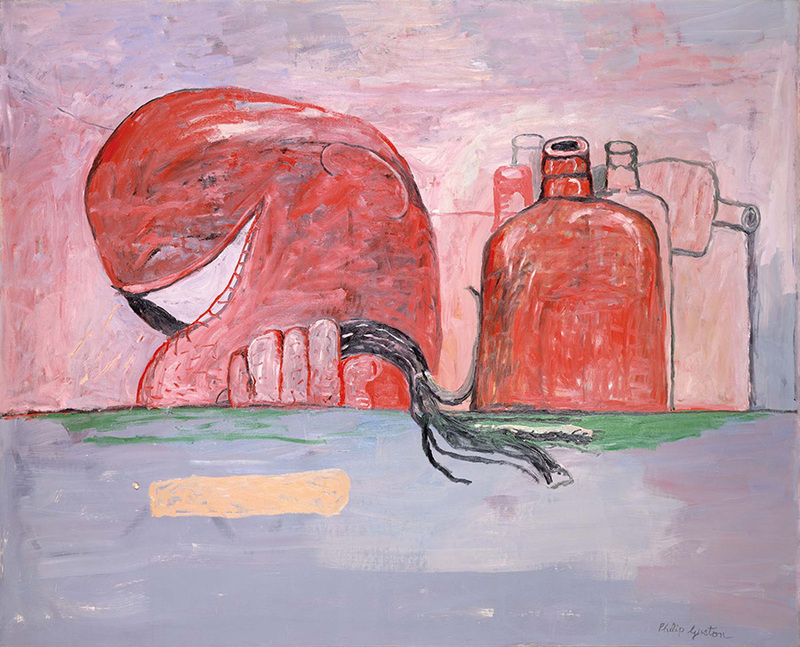 Presenting works by the prodigious American abstract expressionist, “Philip Guston: A Painter’s Forms, 1950-1979” is curated by his daughter Musa Maya. The exhibition begins on the 16th floor and continues to the floor below; showcasing almost 50 paintings and drawings that span three decades of his career. The exhibition traces Guston’s evolution of forms; starting with his acclaimed abstract art and moving towards his distinctive figurative style work at the end. Combining art and science, Japanese media artist Naoko Tosa uses technology to produce mesmerising video artworks that reflect elements of traditional Japanese culture. The exhibition, named “Invisible Beauty”, projects dynamic imagery on the walls which illustrate moments that only a high-speed camera with 2000 frames per second can capture. Produced by passing sound vibrations through colourful fluids and bringing together materials such as dry ice bubbles and ink, the gallery space has been transformed into a kaleidoscopic multimedia experience. Exhibiting the works of New York-based light artist Leo Villareal, “Escape Velocity” is the artist’s first solo exhibition in Asia. Villareal works with LED lights and uses pixels and binary code to create unique and random compositions of light in rhythmic fashion. The sequence and behaviour of light in the space is almost hypnotising and designed to be open for individual interpretation. Beijing Artist Zhao Zhao, a former assistant to Ai Weiwei, is now showing at H Queen’s with “One Second • One Year”. The exhibition explores the notion of time in art and is an expression of how time can shift perceptions of the art in question. Curated by award-winning journalist and art critic Barbara Pollack, the artworks comprise of “One Second” drawings that are created in spontaneous instances that Zhao Zhao then goes on to translate into hyper-realistic images on canvas with oil paints, a process that takes him almost “One Year” to complete.